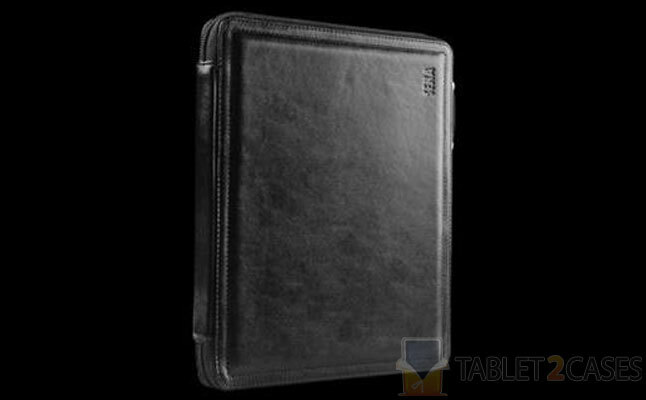 The Magia Zip from Sena is an exquisite portfolio tablet case designed specifically for the Apple new iPad. 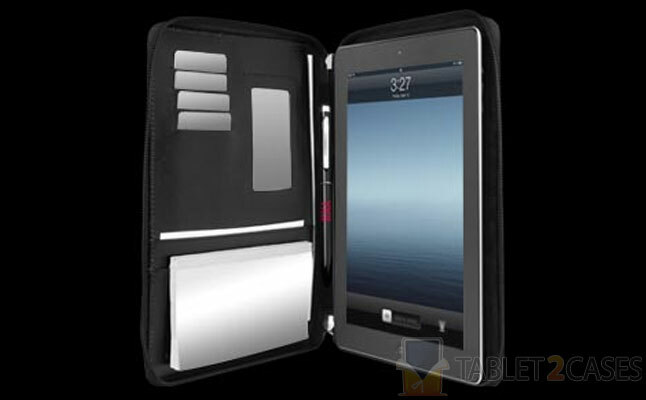 The case is big enough to fit the tablet even with the Smart Cover attached to it. Handmade from genuine Napa leather the case is both great looking and highly protective of the tablet inside. The best thing about the new iPad case is the unique Magia Tape adhesive, which secures the tablet inside the case and prevents accidental slip outs. The Magia Zip comes with a high-quality zipper , which securely shuts the case when not in use, keeping the contents inside at all times. 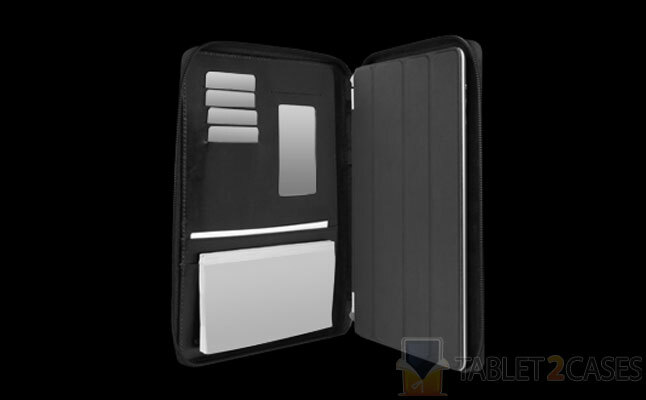 The case features several card slots, and ID holder, and three multi-purpose pockets to hold all the necessary accessories. 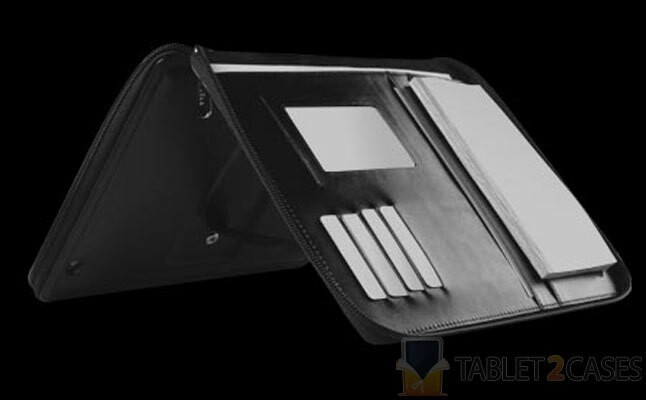 The Sena stylus pen is also included in the package and can be stored in a special pen holder inside the case. 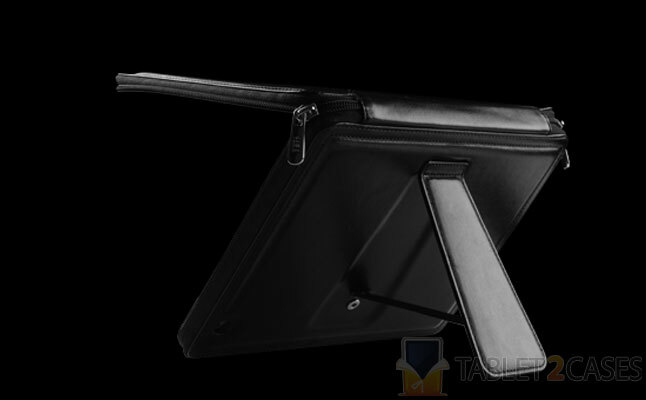 An integrated collapsible tablet stand allows several convenient viewing angles.